Seafood as fresh as it gets in San Diego. 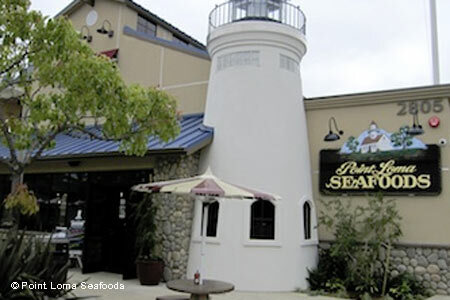 : Launched in 1963, Point Loma Seafoods has had a strong following for many moons. This is, simply, the best seafood market in San Diego County, as its relationships with local fishermen are strong. Whether in a sandwich or salad, grilled or deep-fried, the fresh seafood is consistently good. Specialties include a house-pickled herring in sour cream that might convert doubters. The place is known for its Alaskan cod fish sandwich, though the squid sandwich is another bestseller. Order up a local microbrew like the Ballast Point Sculpin to accompany your meal. There are no tables inside, but you can gaze out at San Diego Bay from the ones on the front patio. Just don't take your eyes off your lunch too long, or you may find you’re sharing it with a freeloading seagull. Be sure to check out the sushi deli as well.